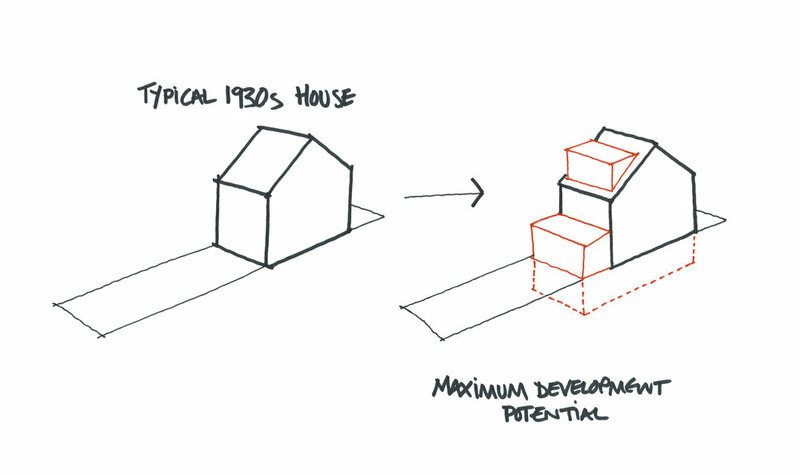 spb were asked to propose a 21st century version of a typical North London Urban home. 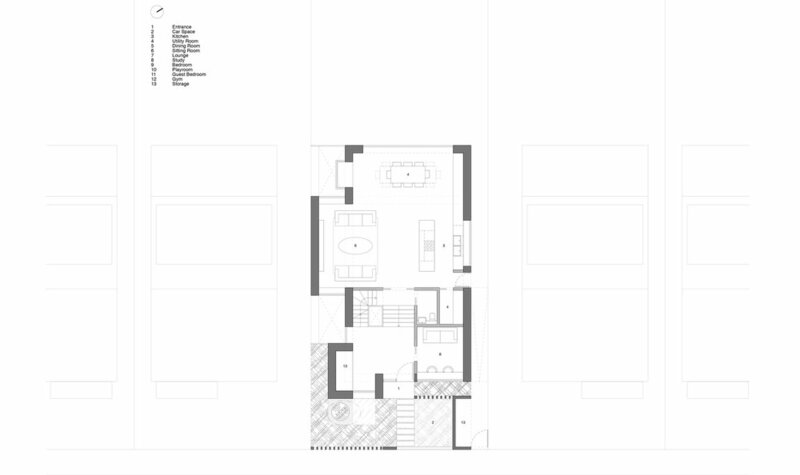 The client was interested to know, if applying the same massing allowed under permitted development plus a basement, how demolishing and rebuilding a contemporary interpretation of the existing house would sit in the streetscape. 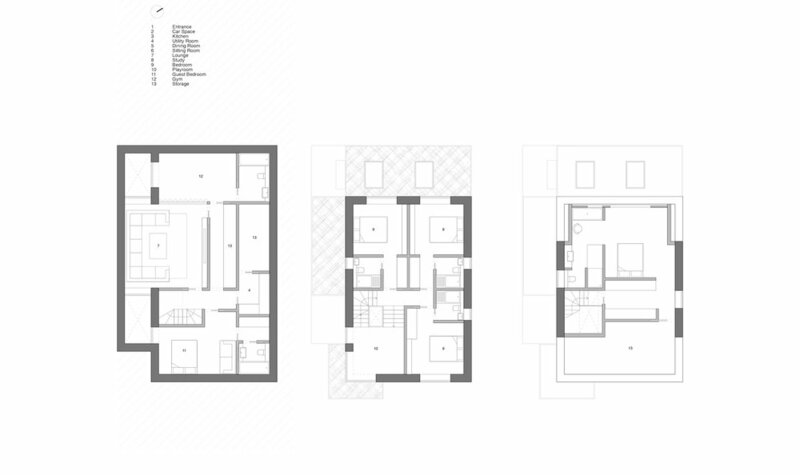 The proposal included 6 double bedrooms all with en-suites, a playroom, gym, study and generous storage space. There was also space for off-street parking for an electric city car.